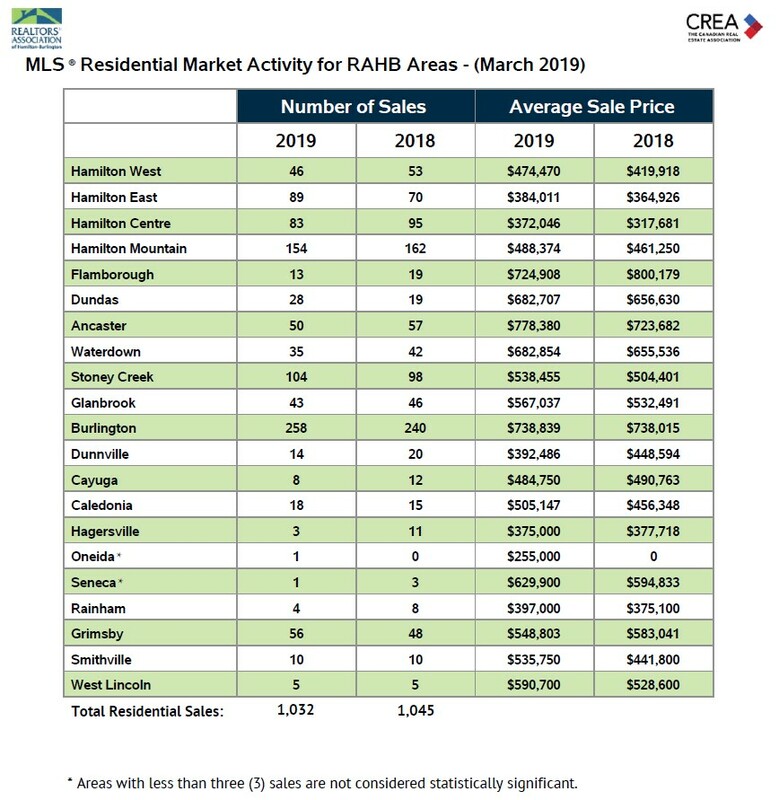 Hamilton, ON (April 1, 2019) – The REALTORS® Association of Hamilton-Burlington (RAHB) reported 1,032 sales of residential properties located within the RAHB market area were processed through the Multiple Listing Service® (MLS®) System in March, 2019. This is a 1.2 per cent drop from March last year; however, a 40 per cent increase over February 2019 and a 74 per cent increase over January 2019. 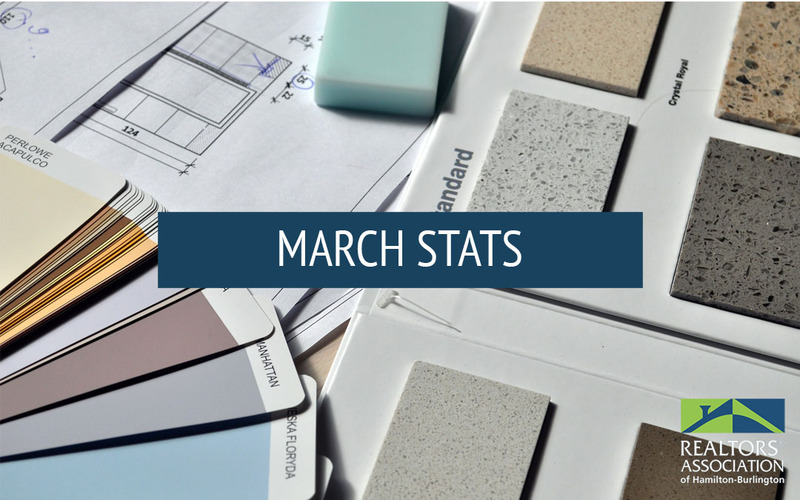 The average price was up from March 2018 by 4.9 per cent to $575,099. 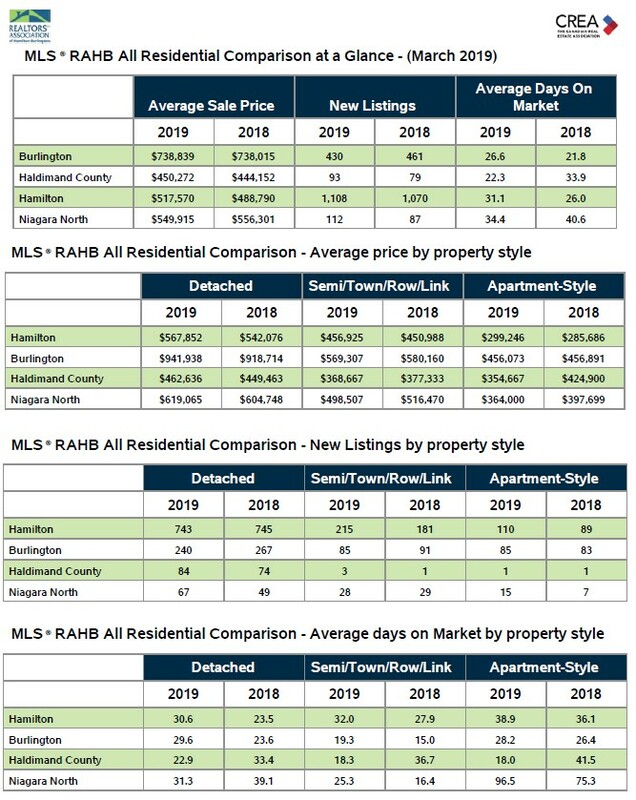 The number of sales for single family properties within the entire RAHB market fell by 2.7 per cent compared to the same month last year, and the average sale price increased by 5.6 per cent. Townhouse sales activity across the entire RAHB market area increased from March 2018 by 8.6 per cent, while the average townhouse sale price rose by 1.2 per cent. Apartment-style property sales were exactly the same as in March 2018, and the average price increased by 3.5 per cent to $376,391. Specific neighbourhoods within the overall RAHB market area see results that often differ from the average of the entire RAHB market area. Because neighbourhoods vary, determining the right price and conditions when buying or selling a property can be challenging. Local RAHB REALTORS® have the experience, knowledge and tools to help buyers and sellers make those big decisions. *Average sale price can be useful in establishing long-term trends, but should not be used as an indicator that specific properties have increased or decreased in value. Talk to your local REALTOR®.